Connections Reloaded WordPress SEO Theme version 3 was last tested on WordPress 3.2 and no issues found. Update June 2014, the free Connections Reloaded AdSense WordPress theme hasn’t been updated for around 4 years, have no plans to update it in the near future. If you are looking for a free AdSense WordPress theme use the Talian 5 AdSense theme, looking for a WP theme with AdSense, Chitika, Kontera, Infolinks and custom ads built in, plus awesome SEO features see the Stallion Responsive Premium theme (not free). Consider Connections Reloaded as an archived WP theme, will probably have issues with latest version of WordPress. The Connections Reloaded Colour scheme has been imported into the Stallion Responsive theme which is the Best WordPress SEO Theme available today and includes many new features not included in the original Connections Reloaded WordPress theme. If you’d rather purchase the original WordPress SEO Theme Connections Reloaded use the Pay Now button below. Note you will not receive the additional Stallion Theme features and if you later decide you’d prefer Stallion (it’s a much better WordPress theme) there’s no upgrade discounts. Connections Reloaded is based on the original Connections and Connections Reloaded themes (Connections Reloaded was based on Connections) with AdSense/SEO coding. Like all AdSense/SEO WordPress themes on this site Connections Reloaded had it’s coding updated to work in the very latest version of WordPress. The original WordPress Theme Connections is quite old so took a LOT of code changes to get it up to standard. The screenshot below shows a single post page of the Connections Reloaded theme, this is where individual posts are shown (like the page you are reading now: this site uses WordPress and one of the themes sold on the site). You can see two of the three Google AdSense ad units in the screenshot. 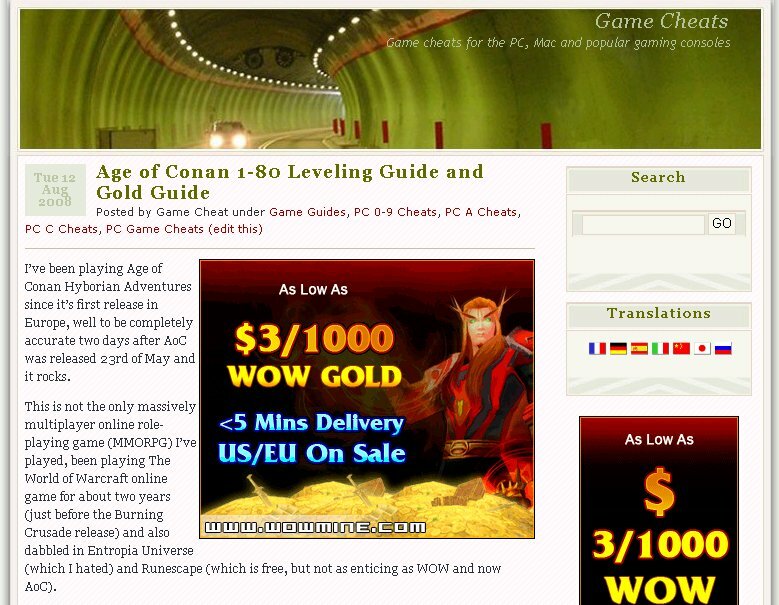 On the right menu you see the top of a 160×600 skyscraper ad unit and almost in the middle of the page a 336×280 ad unit that floats to the right of the main content. Not in the screenshot is a third ad unit 336×280 just above the footer. This location is one of the most clicked areas (AdSense CTR hot zone) and so by using this area for an ad unit almost always performs well. In my experience it’s these pages that will create most AdSense revenue, especially the large square/rectangle ad unit within the main blog post content (it’s a real hot AdSense area). 2. Edit the file adsense.php within the /connections-reloaded-adsense-seo-03/ folder to include your Google AdSense code (read the readme.txt file for more details, very easy to do). 4. Log into your blogs dashboard and under Presentation select the new Connections Reloaded theme and you are done. WARNING: Do not click your own ads, Google AdSense is very good at determining click fraud, (for example clicking an ad while logged into the same IP address you use to log into your AdSense account is retarded since they track your login IP!) the odd click they’ll ignore, (mistakes happen) but regular clicks WILL get your AdSense account banned!! The Connections Reloaded AdSense + SEO theme out the box uses blended ad unit colours and large ad units for maximum CTR/AdSense revenue. If you wish to change unit colours and/or ad unit dimensions this can be achieved by editing just one file. If you don’t like the 336×280 sized ad unit for example, no problem a few minor changes and you could have a smaller 180×150 ad unit. Don’t like image ads, again no problem specify text only ads. Most WordPress themes aren’t too bad SEO wise when downloaded directly from their original creators, but there are always SEO improvements that can be made for maximum SEO impact and the Connections Reloaded theme was no different. All in all a well optimised AdSense theme. It is a good theme and will definitely increase adsense income.